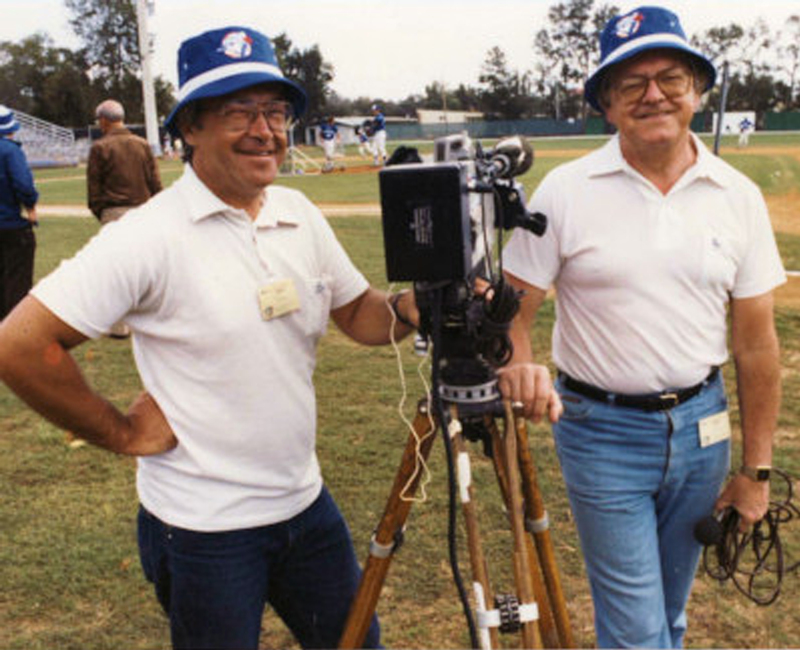 When the Toronto Blue Jays baseball club gathered in Dunedin, Florida in the spring of 1977, Bill Inkol and camera man John Arajs were among the hordes of media types eager for a first look at the fledgling club. It became quickly apparent that fan interest was there as vacationing Canucks flocked to the Englebert complex in droves and response to the CKCO coverage was extremely positive. With this in mind, prior to spring training in year two, Bill Inkol put together a format for a weekly show on the Jays, which he co-hosted and co-produced with Jeff Hutcheson. That’s how “Blue Jays Banter” became the first of its genre on Canadian television and was aired initially only on CKCO. Prior to this the sole baseball oriented program on TV was the immensely popular – “This Week In Baseball”- voiced by Yankees broadcaster Mel Allen. In the following year 1979, John Hudson the head honcho of TV Labatt, was persuaded to pick up the sponsorship rights to the show which was in turn syndicated coast to coast on the CTV network. Close to 400 episodes were aired over 14 seasons. The run ended when CTV lost the television rights to Blue Jays games. During that time “Blue Jays Banter” was recognized and honoured with 3 Can Pro awards for excellence.